It's olive oil harvest time in the Northern hemisphere! Read on to learn more about how olive oil is made! In the Northern hemisphere, including the Mediterranean, the harvest runs from October through the following January, depending on the weather, region and olive variety. In the Southern hemisphere the harvest runs from April through July. 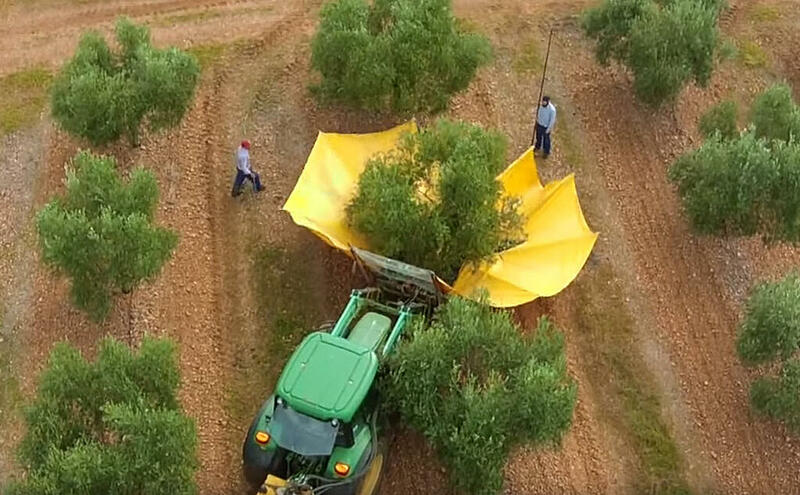 The olives are removed from the tree by a variety of methods which include mechanical harvesters and hand picking the fruit. The time of harvest impacts the flavor of the oil and the yield of the fruit. Olives that are harvested early or while green will produce a stronger tasting olive oil. Olives that are harvested late in the season will produce a milder olive oil. Ripe fruit yields more oil than green fruit. The first step is to clean the olives. 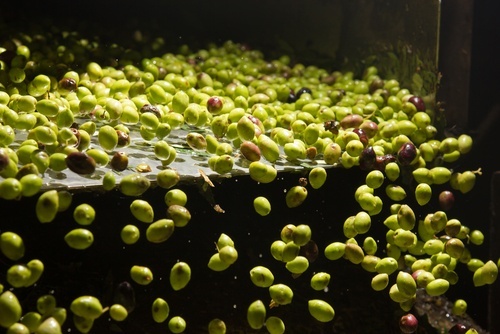 Only water is used to clean the olives; no chemicals are used during the washing stage. The olives will also be separated from any small branches, leaves or debris before proceeding to the next step. 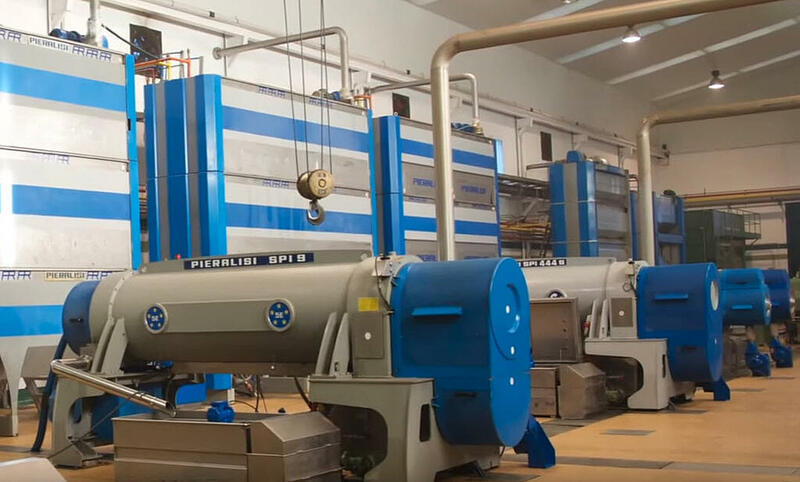 You may have heard the term "cold-pressed" but in modern olive oil production, olives are crushed with a hammer mill and ground into a paste. The crushed olive paste goes through a phase which is called "malaxation". During this phase, the olive paste is stirred. No heat is applied. 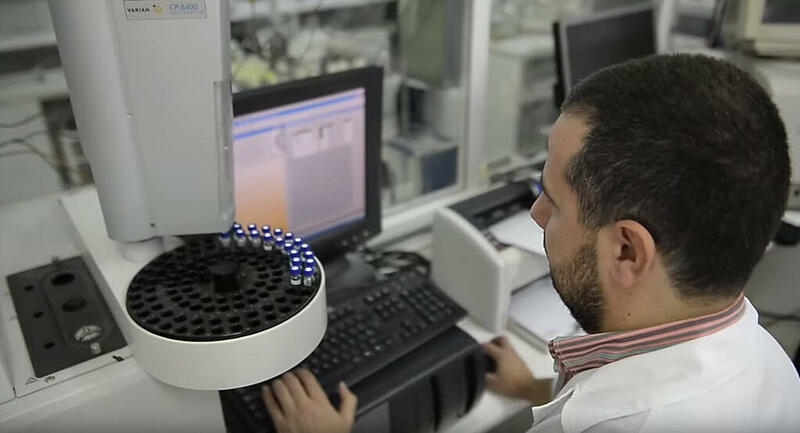 At this point the solids and liquids are separated from the paste with two centrifuges. The first centrifuge is a decanter centrifuge which separates the oil and water from the solids. Next, a vertical centrifuge will separate water from the oil. 24 to 48 hours after the olive oil is extracted, excess solids will be removed from the oil with filtration. While most olive oil is filtered, some olive oil is not filtered before sale. Instead, the oil is allowed to rest for several month while the sediment falls to the bottom of the container. The finished olive oil will be stored in tanks to protect the finished oil from heat, light and air. The finished olive oil will be graded against the criteria set by the International Olive Council. Olive oil that passes the necessary chemical tests and has zero taste defects will be graded as extra virgin. Oil that has chemical or sensory defects will be refined and blended with virgin or extra virgin olive oil to add flavor and antioxidants back before being sold as olive oil (sometimes marketed as pure, classic or light tasting olive oil).